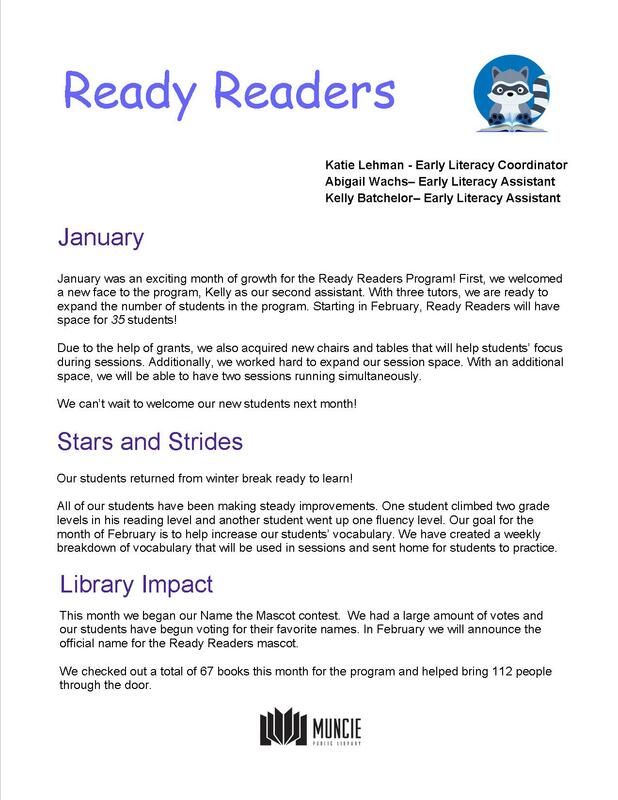 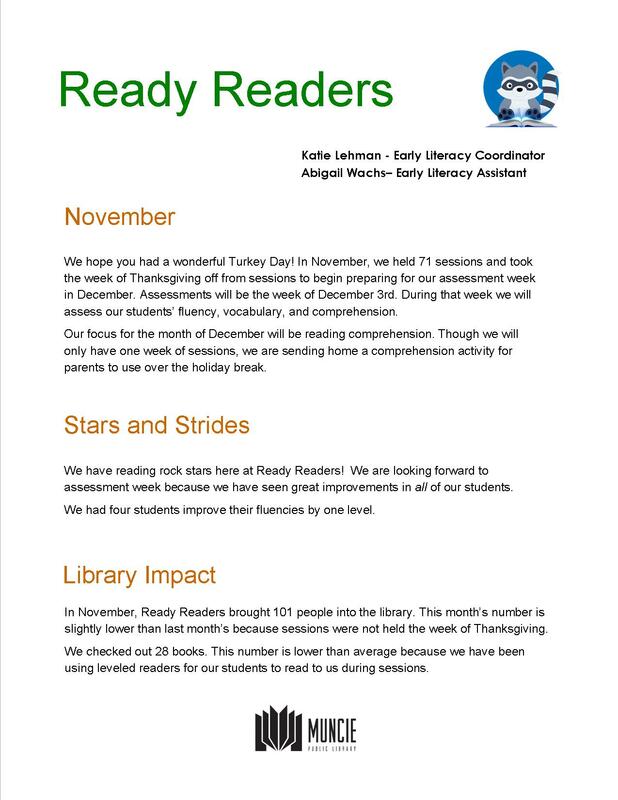 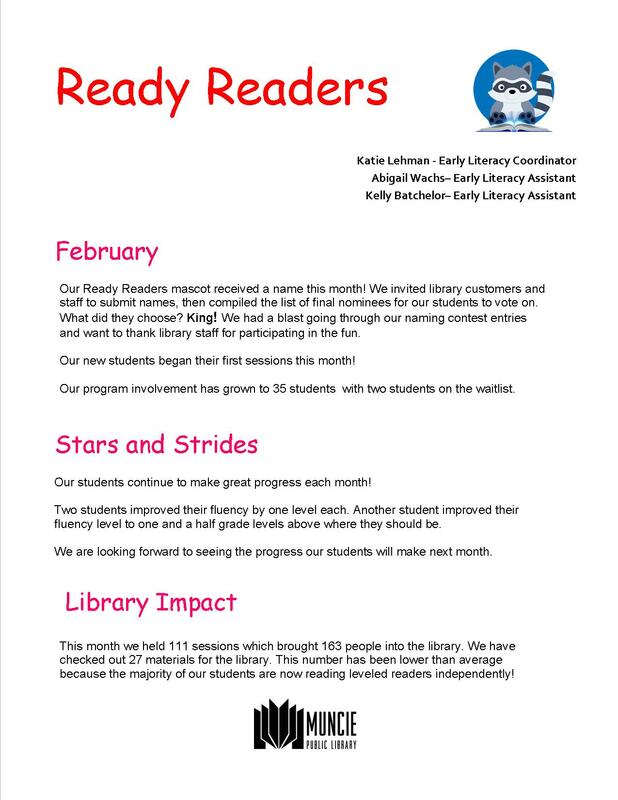 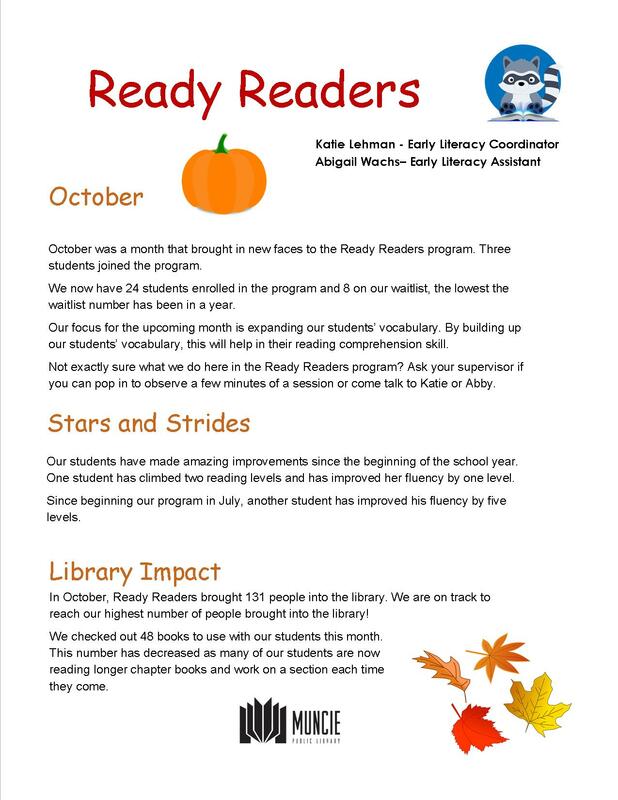 Ready Readers is a free reading tutoring and literacy training program offered to families with children living in the neighborhoods serving Grissom, East Washington Academy, and South View. 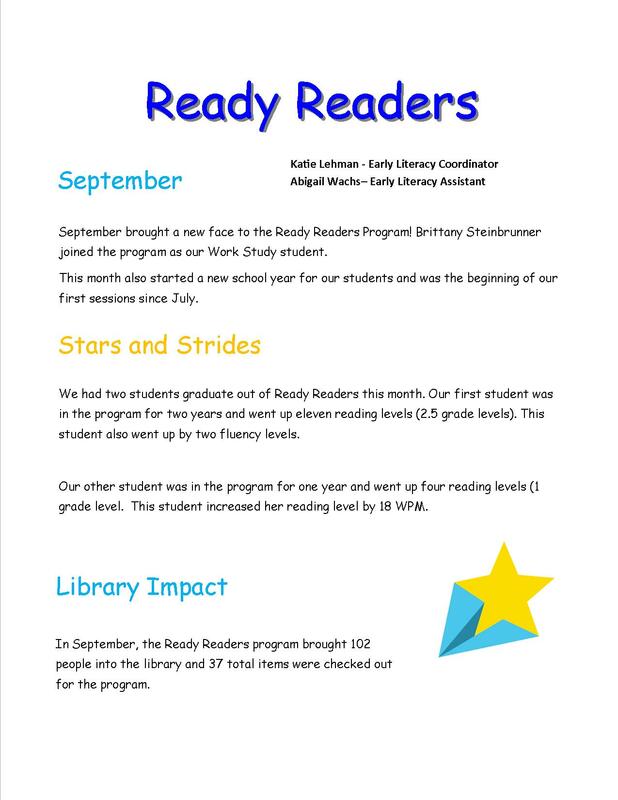 It is our goal to help students from ages 1-9 work on and enhance their reading skills. 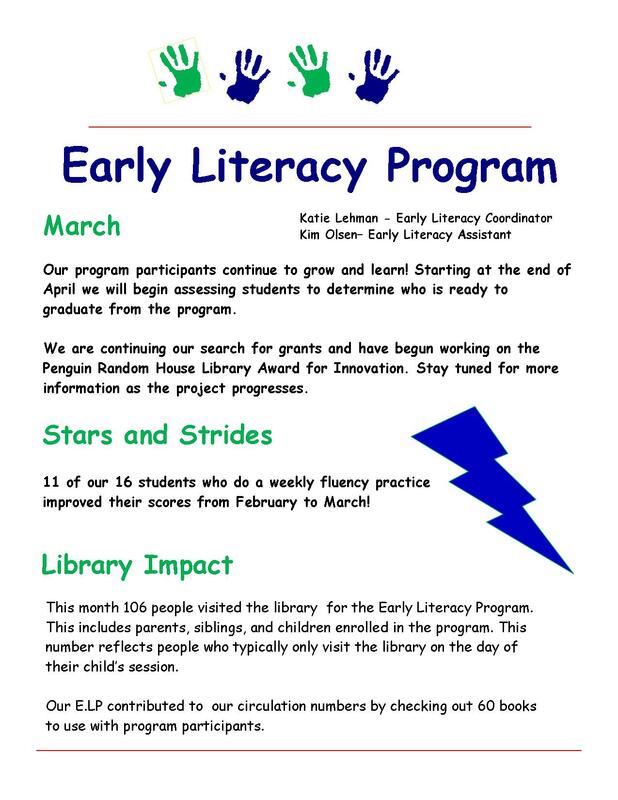 Our program offers library and in-home sessions with lessons lasting thirty minutes in duration. 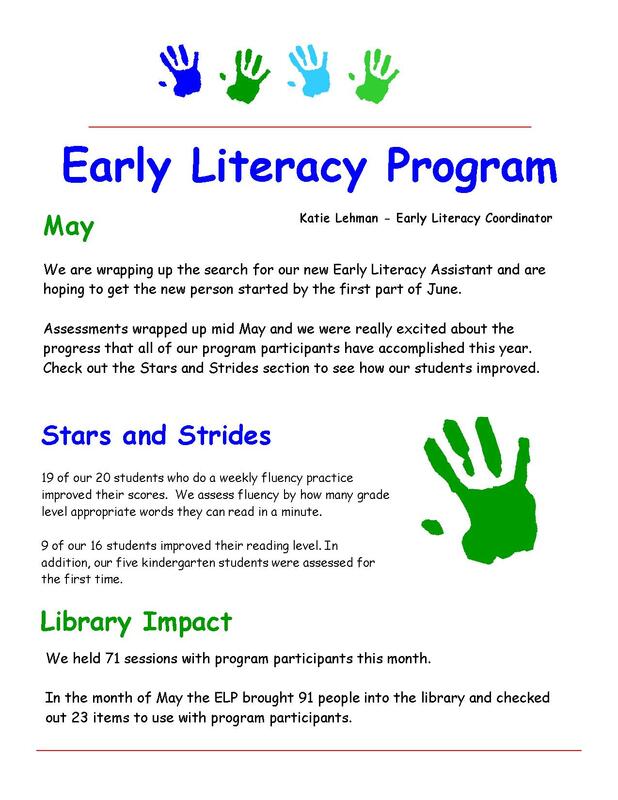 Sessions are game-based, encouraging children to have fun as well as learn. 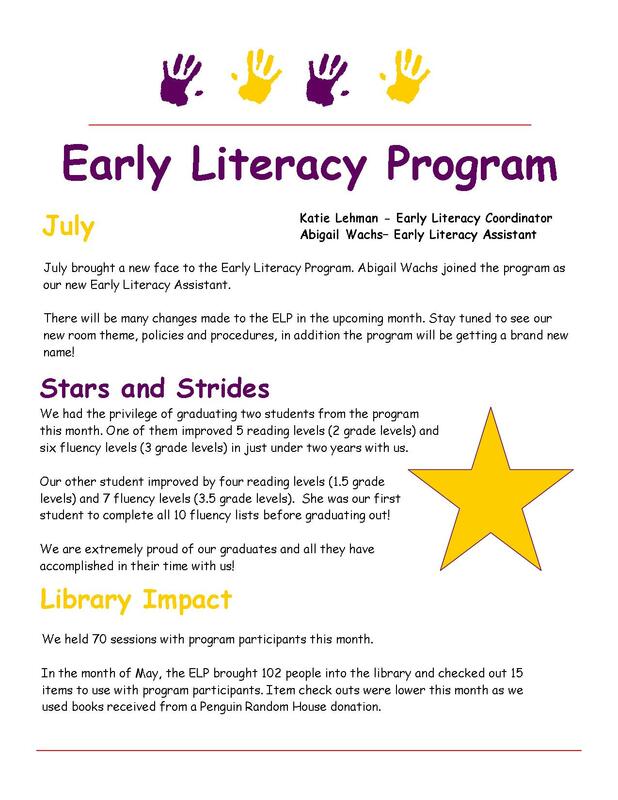 If you are interested in enrolling your child in sessions, please contact the program director at 765-747-8229.